"On November 16, the city council approved a 50-bike, 3-year test pilot bike sharing program where riders can leave their bikes outside designated stations, also known as hubs," writes Bryce Druzin, economic development reporter for the Silicon Valley Business Journal. We think that model works much better in suburban environments where you can't always guess where people are coming and going from," said Kathy Kleinbaum, San Mateo's sustainability program manager. Kleinbaum said the pilot program would be launched in May 2016. 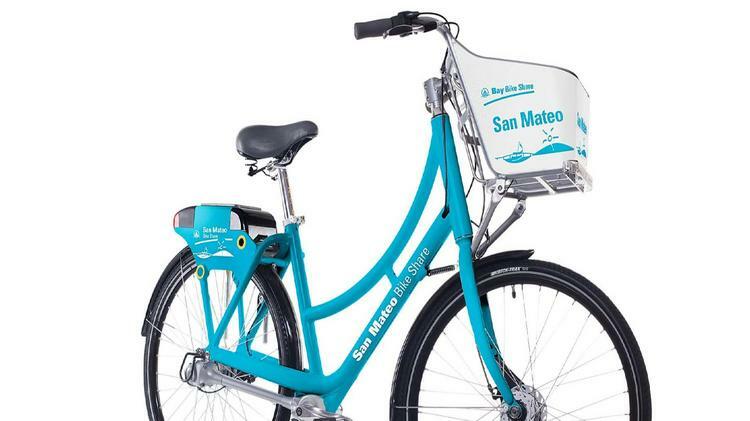 Of course, the 50-bike San Mateo Bike Share represents no threat to the 700, soon-to-be 7,000-bike regional Bay Area Bike Share program that launched in five cities in August last year and is expanding in San Francisco and San Jose and to the East Bay cities of Oakland, Berkeley and Emeryville next year. Kleinbaum said the city is modeling its program after Santa Monica's bike share program, and hopes to offset some of the expenses from user fees as well as company sponsors. Rather than competition, the San Mateo program complements the regional program which may not be well-adapted to the less dense, more auto-oriented cities of the San Francisco peninsula, as evidenced by the existing programs in Mountain View, Palo Alto, and Redwood City which were in jeopardy of being dropped from the regional program due to low patronage. An email from Sigalle Michael, sustainability coordinator of Burlingame, a city of almost 30,000 on the northern border of San Mateo, indicated that she will be "tracking their progress." She added, "I see potential opportunities for a future expansion to Burlingame…"
"Bikes will be purchased for $1,500 apiece from Brooklyn-based Social Bicycles Inc., and operations will be done by Bikes Make Life Better, which runs bike share programs on corporate campuses for Facebook, Apple and others," adds Druzin. Hat tip: Jeff Londer, Citizens Environmental Council of Burlingame.